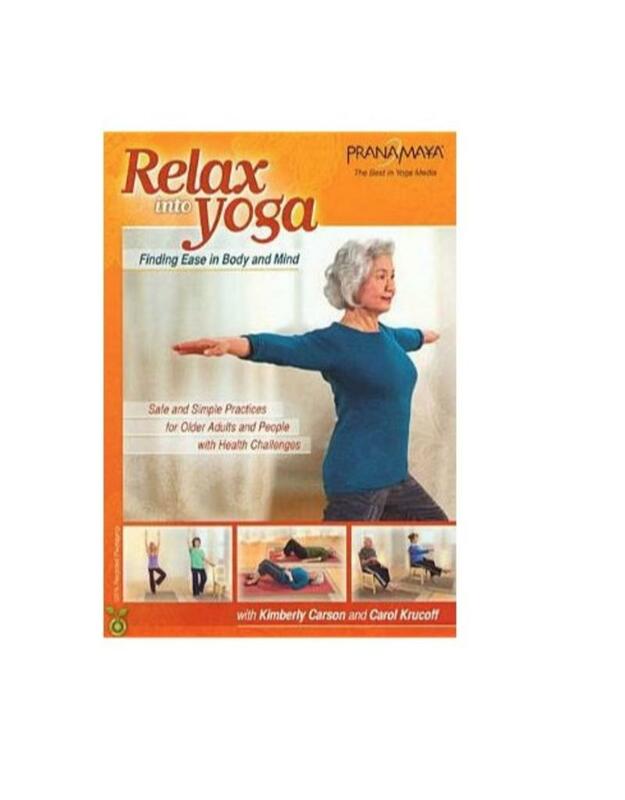 The Relax Into Yoga DVD from Pranamaya offers safe and simple practices for seniors, older adults, and people with health challenges. Based on the pioneering Yoga for Seniors teacher training - offered at Duke Integrative Medicine and the Kripalu Center for Yoga and Health - these practices combine the best of modern, evidence-based medicine with the ancient wisdom of the yoga tradition. Kimberly and Carol's extensive experience working in medical settings with older adults and people with health challenges has helped them create safe, effective and enjoyable practices that are accessible to virtually anyone who can breathe. Props: Sturdy chair, Yoga mat, blanket and/or cushion.